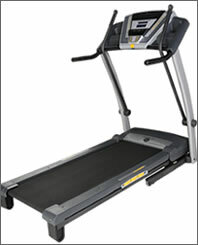 Gold’s Gym treadmills are a great choice if you’re looking for an affordably priced but full-featured treadmill. Gold’s Gym treadmills are an superior choice if you’re looking for affordable fitness machines that offer the essential features you need to get a great workout without adding a lot of unnecessary and expensive extras. Gold’s Gym CrossWalk 570 treadmill is a top quality fitness solution that offers numerous innovative and intriguing features for a very attractive price. Increase your cardio benefits and workout entertainment with the CrossWalk 570. Equipped with all the extras, this treadmill will help you reach the finish line of weight loss. Burn 50% more calories with the CrossWalk Upper-Body Arms and the adjustable resistance will help increase your cardio benefits and tone your upper body while the redesigned grip will keep you comfortable. A spacious 20″ x 55″ treadbelt and QuickSelect controls all top off this incredible CrossWalk treadmill. 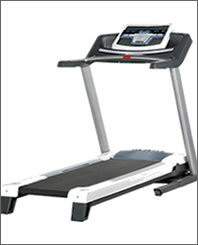 Gold’s Gym Trainer 1190 treadmill is a full featured yet economically priced fitness solution. It offers a number of innovative features that will ensure your success in getting fit. 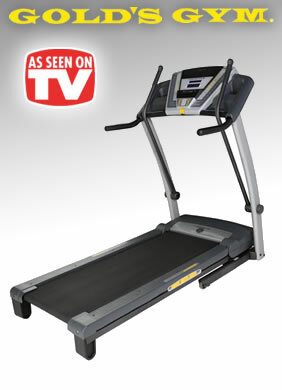 The Trainer 1190 from Gold’s Gym will help you get into shape in no time! Featuring iFit Workout Card Technology, this treadmill utilizes automatic controls, audio coaching and goal-specific workouts to help you get fast results. The AirStride Cushioning built into the deck offers superior joint protection so you stay comfortable throughout your workout. 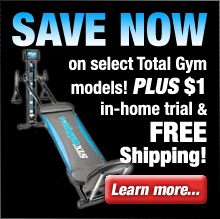 The Trainer 1190 also features 20 personal trainer workouts and a powerful 2.5 CHP commercial-grade motor. The Trainer 1190 treadmill is an excellent choice if you’re looking for a full-featured and very affordable home exercise solution. Workout Warehouse is an authorized Gold's Gym dealer and they stand behind every piece of exercise equipment that they sell and fully guarantee your satisfaction. 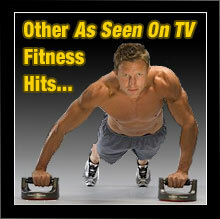 Simply purchase your Gold's Gym fitness machine (direct from Workout Warehouse) and use it for up to 30 days. If you're not 100% satisfied with the results, simply contact Workout Warehouse's customer service department for a Return Merchandise Authorization number and return the machine (including any accessories) in its original condition and packaging to receive a full refund, less a 10% restocking fee and the shipping & handling charges. * The above guarantee is for purchases made through Workout Warehouse only. Be sure to check the current return policy of all retail partners presented on TVgyms.com for the most up-to-date information. Gold's Gym treadmills offer numerous innovative features and benefits such as advanced technology cushioning for low impact workouts and maximum comfort, commercial grade motors, dual-grip PowerPulse heart rate monitors, iFit Workout Card Technology with workout programs designed by certified personal trainers, easily viewable LCD displays that track and display your important stats, CrossWalk upper-body arms, Intermix Acoustics 2.0 sound systems, built-in CoolAire cooling fans, and durable construction. If you're serious about getting into better shape and staying fit Gold's Gym offers the affordable treadmill solution you've been looking for. What are you waiting for? Browse our selection of Gold's Gym exercise equipment to find the exact fitness system you need to get started on the road to fitness!